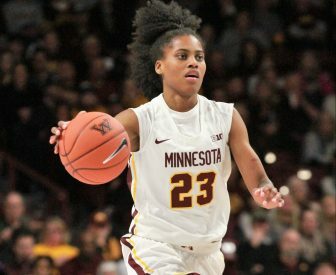 Kenisha Bell, a 5’9” guard who starred at Bloomington Kennedy, recently completed an outstanding regular-season career at the University of Minnesota, scoring 23 points on “Senior Day” and leading the Gophers to an 81-63 win over Michigan State University. 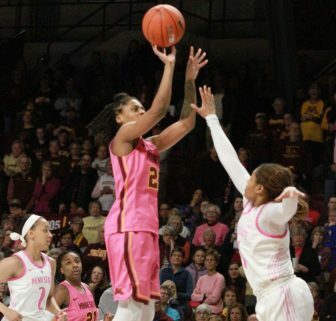 Black History Month resonated officially and unofficially throughout the Big 10 Conference women’s basketball matchup between the University of Minnesota and Rutgers. 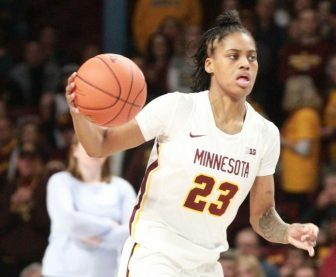 Four former metro prep basketball stars — Amir Coffey, Gabe Kalscheur, Daniel Oturu and Kenisha Bell — are making major contributions to the University of Minnesota men’s and women’s basketball programs, respectively. 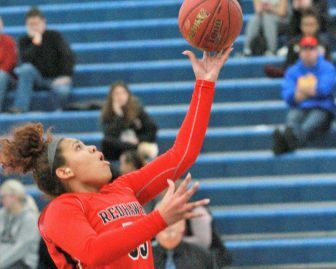 Last Saturday the junior, one of the top guards in the country, scored 30 points in leading defending Class AA boys’ basketball champion Minnehaha Academy to a season-opening victory over Perham. 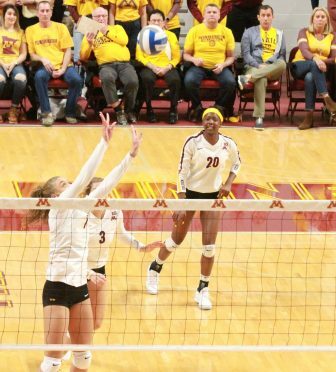 Senior Naomi Bunker helped the Concordia Academy-Roseville volleyball team place fourth in the Class AA state tournament last weekend. 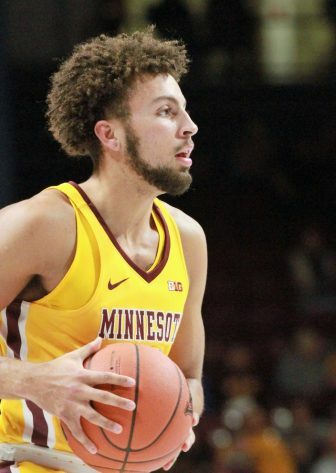 I saw former Apple Valley and Howard Pulley standout basketball great Tyus Jones (no relation) score 10 points in the Minnesota Timberwolves home-opening win over the Cleveland Cavaliers.